Honey-Can-Do TBL-06322 Portable Lap Desk, Hot Pink. This versatile lap table has a large, solid surface that is perfect for laptops, writing and reading. The soft and comfortable cushion is wedge-shaped for ergonomic typing. The space-saving design includes a built-in carrying handle that is comfortable to grip. Keep your identity and vital printed documents out of the hands of others. This Honeywell Deluxe Shredder is "ready to use" out of the box! Built in 3 function control switch makes it easy to use. Powered by 100 watt motor allows this model to Cross-Cut shred up to 12 sheets at a time and shred credit cards and CDs. Bin can hold up to 6.6 gallons of waste before needing emptied and comes with a convenient window to monitor progress. Sleek design compliments any office! Electronics are UL Approved! 225Ci 100% Jam Proof Cross-Cut Shredder is rated 4.5 out of 5 by 35. Rated 5 out of 5 by Powershred from Powershred 225Ci It is everything it is advertised to be. Rated 4 out of 5 by misha from Great looking machine Well I've only used this shredder for two days so far. It is very quiet and efficient. I'm hoping it will be the workhorse it was advertised to be. Noticed that when you continuously feed papers in one after the other it want's to stop and wait. Maybe have to get used to this one vs my Staples shredder. The jury is out until I've had more continuous usage. 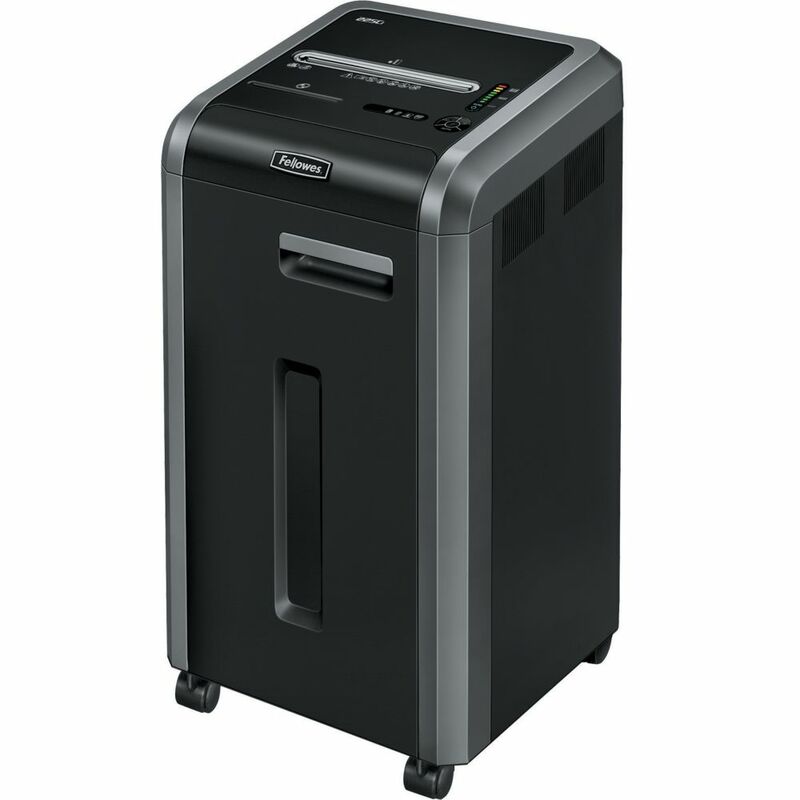 Rated 5 out of 5 by schooldistrict from Durable shredder We had the same model previously but it was the strip shredder. This we purchased cross shreds. Other one worked very well for about 10 years. hoping this one will last as long if not longer. Rated 5 out of 5 by Nell from Great shredder. Probably the best yet!! Really good shredder. Jam resistant. Can do cards, CD's, lots of paper. Great shredder. Rated 5 out of 5 by Bookkeeper from Powershred We love this shredder! I would recommend this shredder to anyone looking for a new shredder. Its fast and quiet. Rated 5 out of 5 by HappyUser64 from Justice Clerk I was very pleased at the speed of records destruction with this shredder. Very simple to use. Love the box for catching the shreds, it makes emptying it uncomplicated. Rated 5 out of 5 by YAFMCAHII from Best Shredder Ever We've used this shredder at my office for several years and it is fantastic. Liked it so much I had to have one at home. Works like a champ.